Improving on Jeep's signature 4x4 capabilities, advanced powertrains, and iconic open-air frame silhouette, 2018 brings with it an all new body model, the Wrangler JL. Seventy-five years of Jeep design and technology is commemorated within classic Jeep CJ design cues such as the round headlights, square taillights, and seven-slot grille. Dozens of different body configurations are available thanks to the removable top, doors, and foldable windshield. And of course, legendary off-roading brings ruggedness and durability you won't find anywhere else on the market. Tell me about the new 2018 powertrains! Great capabilities begins with great power; the award winning 3.6-liter Pentastar V6 engine is standard within all models of the 2018 Wrangler JL, delivering 285 horsepower and 260 lb-ft of torque. For 2018, this engine now features Engine Stop-Start, a fuel saving technology that stops engine activity after five seconds of idling, such as when waiting at a stop light, busy intersection, or in traffic, restarting activity immediately when the brake is released. New for the 2018 model year, a 2.0-liter turbocharged inline four-cylinder engine with eTorque semi hybrid abilities provides drivers with 270 horsepower and a heightened 295 lb-ft of torque, perfect for off-roading traction and terrain conquering. The eTorque system includes Stop-Start, electric power assist, extended fuel shut-off, transmission shift management, intelligent battery charging, and regenerative braking. In 2019, the 3.0-liter EcoDiesel V6 is being added to the four-door Wrangler's powertrain options, rated at 260 horsepower and 442 lb-ft of torque. A class-exclusive eight-speed automatic transmission comes with most models, but for those who want more gear control will be happy with the option of a six-speed manual transmission. How does the 2018 Wrangler JL serve my spirit for adventure? The updated modern layout and build provides more passenger space, easier body removal, and even some luxury touches of materials and technology. It manages to look new and unlike the previous Wrangler generations, yet preserves exactly what makes a Wrangler unique and the most recognizable vehicle in the world. The two-door model comes in three trim configurations: The Sport, Sport S, and Rubicon. The four-door model has one extra trim type, the Sahara. The removable body elements such as the doors, hinges, hood, fenders, windshield frame, and swing gate are now shaped with aluminum, making them lighter and easier to take off for the open air drive. The removable roof has three models: a soft top, two hard tops, or a One-Touch folding powertop. The hinging windshield is simplified, too, for fast lowering; it's now sealed with four bolts instead of twenty-eight. Inside, heritage inspired elements include the center stack and round vent design mirroring the headlamps' look. The instrument panel is hand-wrapped with soft-touch materials. Functional features and numerous and lend to great creature comforts that every driver wants. A 5-, 7-, or 8.4-inch touchscreen provides a center focal point, and serves as the control hub for radio, two USB ports, an AUX port, Bluetooth, Uconnect, and optional navigation inputs. What safety and security features are best on and off-road? Wrangler comes built with an ultimate focus spent on quality, reliability, durability, and safety. There are seventy-five-plus security and safety features both standard and available within the 2018 model year builds. Most specialized are the many handling-assist systems that better utilize torque for stellar on- and off-road performance. Electronic stability control, torque control, roll mitigation, hill ascent and descent assist, and 4x4 Low Gear features all monitor the distribution of torque between the four tires to ensure there's continuous forward momentum and no slips around sharp corners or when performing evasive maneuvers. For 2018, a Technology Package supplies an increasing number of driver assist features throughout the Wrangler's trims. Available are blind spot monitoring, cross path traffic detection, adaptive cruise control, and collision detection. Standard in all models is a rear-view camera with dynamic gridlines to show you your reverse trajectory. 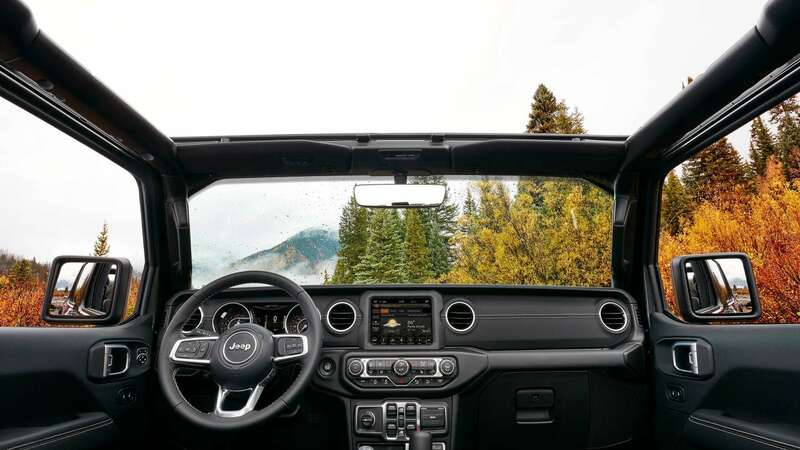 With Jeep, you know you're getting the best of the best in performance and terrain capabilities. 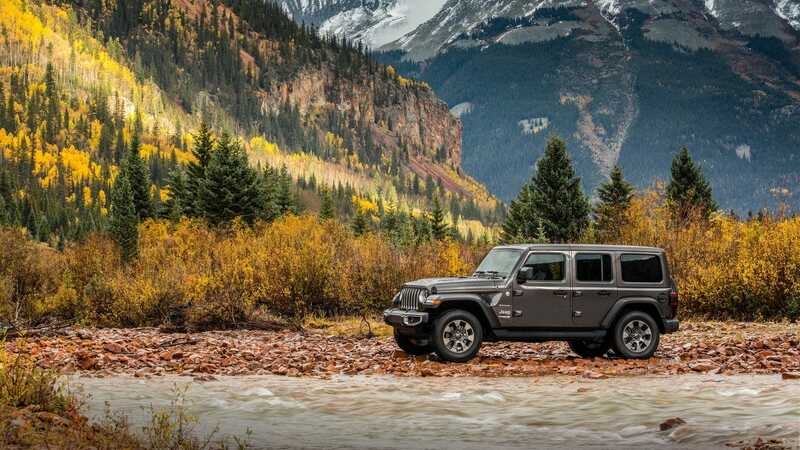 Tested upon the Arizona desert, the Alaska permawinter, and everywhere in between, the 2018 Wrangler is designed for utmost handling no matter the off-roading terrain you want to explore. Feel the spirit of freedom and the promise of adventure in your very own 2018 Jeep Wrangler JL today.